With prominent wall frontage and modern interiors, this centre presents itself as a desirable office location. Situated on the busy, highly sought after Lisburn Road; property has been finished to a high standard and offers a choice of modern office suites and commercial lettings. Offices are available across four floors with top floors boasting stunning views of Belfast and the surrounding hills. Offices and suites are decorated and can be furnished if required. The property is situated in a prominent location in BT9, in Belfast's well established premier suburban retail / professional office area. Located less than one mile from Belfast City Centre and with close access to the M1 motorway, the property is ideally situated to avoid busy City Centre traffic but still retain the benefits of footfall and passing trade. 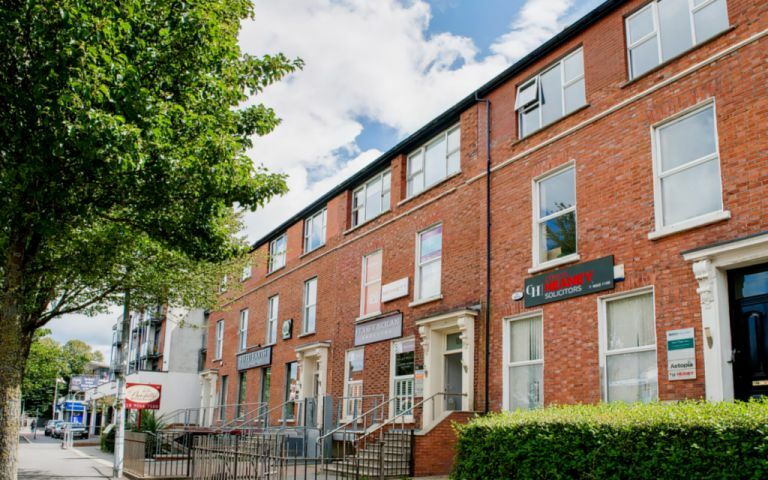 These offices in Lisburn Road offer a range of prices depending upon your exact requirements. Contact us now and we will help find the best price for you, based on your individual needs. The Belfast office space has all the character of a Victorian building but also incorporates the highest standard of technology.